Making the big step from Junior to High School less scary, It's Your Move will help kids navigate this new phase of life with courage and faith. This revised edition features all-new real-life story profiles and articles, more interactive elements and an updated design for 2015. Provides a mechanism for churches to make first contact with local schools,if they don't already have a relationship with them. It is a big deal moving from primary to secondary school. At 11 or 12, children are used to the secure environment of primary school, where their friends are close by. Now they're leaping into a much bigger, unfamiliar place where there's lots of teenage kids rushing about... small fish in a BIG pond springs to mind! But it's not all bad. It's full of opportunities and adventures and Scripture Union's book It's Your Move is there to reassure children embarking on the next part of their educational journey, reminding them that God is always with them. 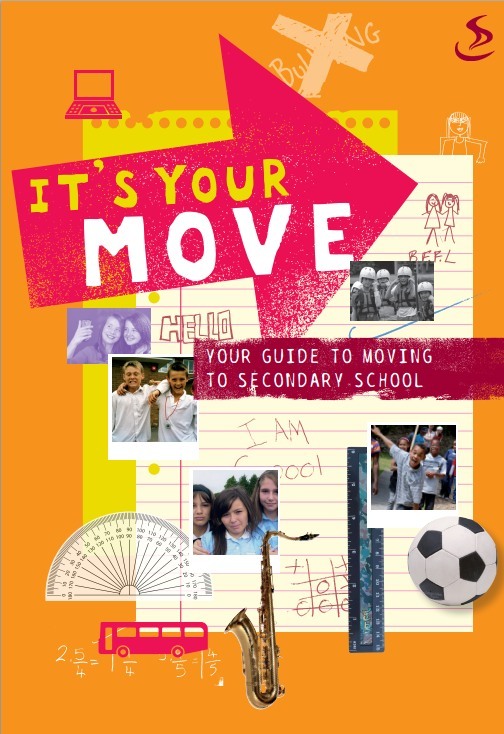 It's Your Move is a vital tool currently presented to about 1 in 5 secondary school starters. We want even more children to feel confident about making the move to secondary school and by buying It's Your Move, you can help to make a real difference. Pack of 10 It's Your Move was published by Scripture Union in January 2014 and is our 526th best seller. The ISBN for Pack of 10 It's Your Move is 9781844278886. Our PCC has been gifting these booklets to primary school leavers for years. It's well written and packed with supportive advice. Great value bought as multipacks. Got a question? No problem! Just click here to ask us about Pack of 10 It's Your Move.